We'd love to help you get started. You need funding to make your project a reality. We facilitate a compliant, effective EB-5 program to invest in our region’s future. When you choose to invest in an EB-5 program, you’re in good company. We provide a proven and unique financing option perfect for projects big and small. How can our EB5 program help you? Our EB-5 program is making a global impact. Investments made through the EB-5 program have allowed individuals from across the globe to fulfill their dream of legally obtaining U.S. residency and improve life for themselves and their families in the United States. Our EB-5 program is investing in the future of our community. Developers are able to make their projects a reality through funding from EB-5 foreign capital. When a developer chooses to fund a project through this program, new jobs are being created locally. With our skills, expertise and partnerships, we are able to facilitate these investments and make a change in the world around us. KOIT Global Investments is a reliable option for legally obtaining United States residency through the EB-5 program. We make building a life in the United States possible. The experienced team and partners of KOIT Global Investments make us an ideal alternative funding option for your developments. We help make the completion of your project a reality. Learn what KOIT can do for you. KOIT Global Investments is here to be your guide through the EB-5 program. We have the capabilities, expertise and diverse partners to make investing in the EB-5 program or choosing it for funding a seamless process. When you choose to work with KOIT, you can count on a partner every step of the way. We’re not just here to make a transaction – we’re here to help change lives. We’re always available to answer questions, provide emotional support and help make the process as seamless as possible. Most importantly, we’re committed to being ethical, being compliant and getting the results you need. We’re in the business of making your dream a reality. 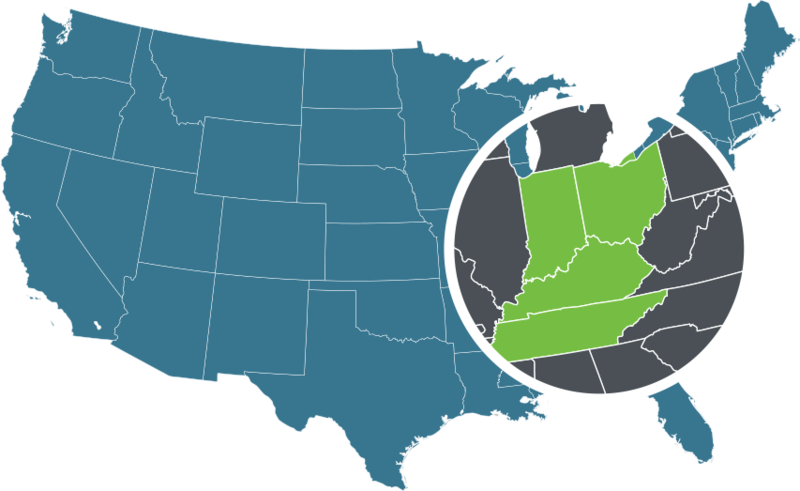 The KOIT region (Kentucky, Ohio, Indiana, and Tennessee) is consistently ranked among the top areas do to business, to relocate, and to invest. Site Selection Magazine, the nation’s leading publication for corporate executives, site selection consultants, and real estate professionals, ranks Kentucky, Ohio, and Indiana in the Top 10 States to do business, recognizing these states’ efforts to transform, diversify and grow their economies. Contact us to discuss investing in the KOIT region.